Hello! 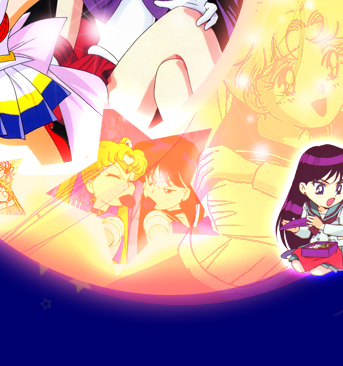 Welcome to "Timeless Link", the TAFL and TFL approved fanlisting dedicated to Hino Rei/Sailor Mars & Tsukino Usagi/Sailor Moon, two heroines from the popular series Bishoujo Senshi Sailor Moon, created and illustrated by the awesome Takeuchi Naoko! The relationship between Usagi and Rei is the one that more than any other expresses better the meaning of friendship, because they're two different persons with opposite personalities. They're so special to me!! I really adore them together!! 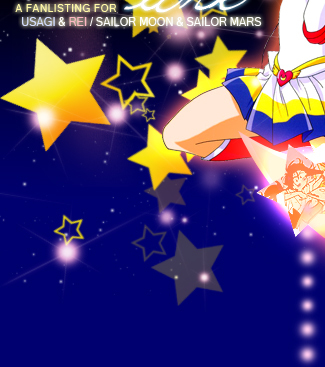 Rei and Usagi are a perfect match as friends in their daily life, and as comrades in the battles as senshi! I want to thank with all the heart the kind Michele, that let me adopt this fanlisting in September 2012! Thank you so much, I promise to do my best to take care of Usagi and Reis' fanlisting forever!! and Tohei Animation, all rights reserved. them. Layout and contents ©Dorothy.